Imagine a small rural village in Sweden. It’s nighttime and a new dad drops the only remaining bottle of baby formula on the floor as his hungry son wails. The closest grocery store will take at least 40 minutes round-trip. That was the moment that technology expert Robert Illiason started thinking about alternatives. He realized living in a rural part of the world, where shops close early, puts a strain on customers. 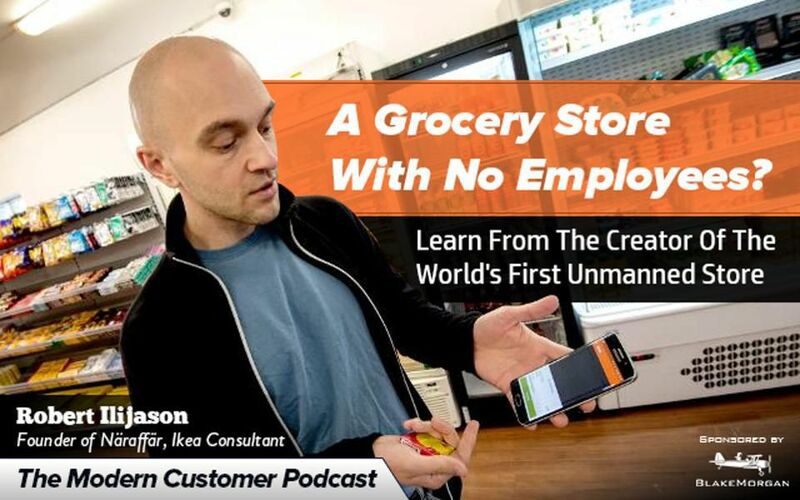 He came up with the idea for Näraffär (meaning “shop nearby”), the first unmanned grocery store where customers can buy small items such as baby food at any time of night or day. The store is run using a mix of cameras, apps and other technology which he describes as fairly simple to set up. In this podcast you will hear from Illiason, who is an IT consultant specializing in databases and business intelligence, mainly working with automating processes and data flows. He has worked with customers such as Ericsson, TeliaSonera and, mainly, IKEA. He is also a writer and who keeps his finger at the tech pulse for several Swedish IT magazines.